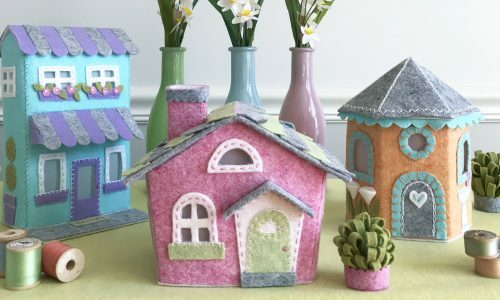 The Lil Felt Village Make-along Club is your opportunity for year-long creativity and making. In this club I’ll teach you to make a complete village of adorable hand stitched cottages and buildings to decorate our homes by the season. Learn more and join the club today! 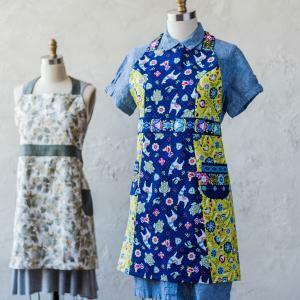 Join me and learn to create a stylish, functional apron with pockets and a bib. 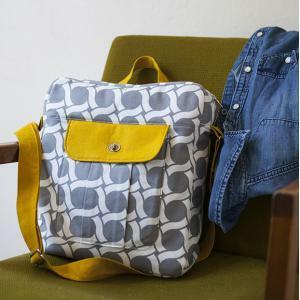 Learn how to customize it by combining your favorite prints and color combinations. Sew a versatile clutch that will snazz up any outfit. Learn to interface, add darts, and construct the bag – from cutting the fabric through adding the hardware. Take your sewing to the next level. 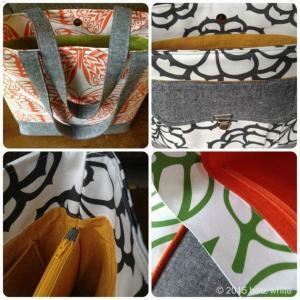 Learn how to build your own versatile bag! Get tips on marking, cutting, and pressing your fabric and how to create depth by boxing the corners. 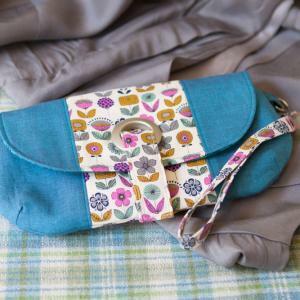 Learn to add a simple slip pocket and create self-fabric handles. 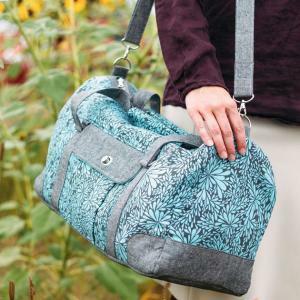 I’ll take you step-by-step through the complete bag-making process, so you end up a bag that is sturdy and ready to be customized! 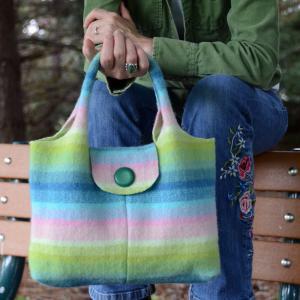 In this class, you’ll learn how to add the interior extras that make a simple bag more functional and finished. You’ll learn how to add 4 different types of pockets, a zippered divider and a key fob. I’ll share best practices for making sure that each of these embellishments looks professionally-done and functions perfectly. 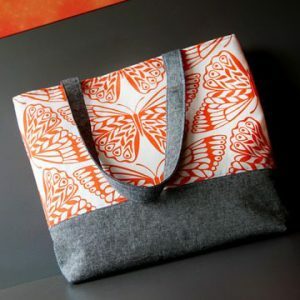 Join me to learn bag making tricks and techniques for getting professional-looking results. I’ll give you step-by-step instructions for making a bellows pocket, a pocket with corner darts, and a pocket flap. You’ll also learn the best way to construct concealed zipper closures and add metal base feet. Join me in making the Flight Bag to learn all about bag construction and finishing. I’ll walk you through every step of the process – from stabilizing each piece of the bag through adding hardware. 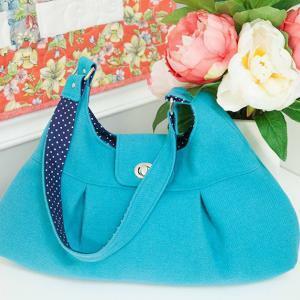 Along the way you’ll learn how to create pockets, pleats, zipper panels and straps. You’ll create a bag with structure that you can use to transport your essentials in style. Thrifters unite! Using basic sewing skills and an eagle eye for the good stuff at yard sales, you’ll turn cast-off clothes into cute accessories. 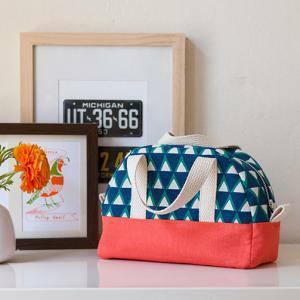 If you enjoy creating unique looks that are simple, sustainable and fun, sign up for Project Upcycle: Thrifty Sewing Projects. Learn easy techniques to make stylish, handmade holiday gifts and decor, using recycled and inexpensive materials. 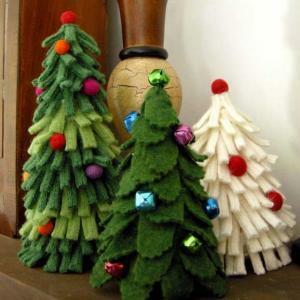 The Wool Hexie Christmas Stocking makes a great Christmas decoration or gift for family members. In this class you’ll learn how to piece hexagons together using a special technique. 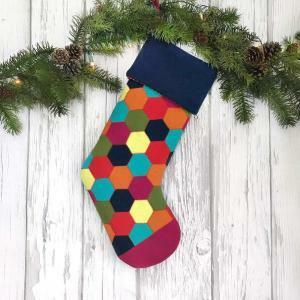 I’ll show you an easy way to cut the hexagons and sew them together, then assemble the stocking and lining. Then we’ll put it all together and add some fun accents. Join me! 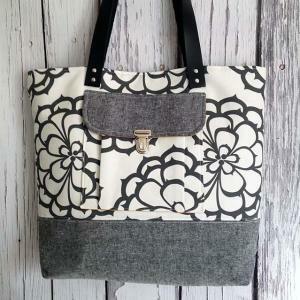 The Hoboken Handbag is a fun retro-styled bag to carry out with friends or date night. In this class you’ll learn how to make tucks and darts to provide shape and fullness. Inside you’ll create a zippered pocket, and install a twist lock closure on the flap.